Boone, NC (March 6, 2017) – Has anyone ever told you, perhaps during a difficult time in your life, that everything happens for a reason? For many of us, it can take years before we fully understand that the waves of life were actually a part of a larger current leading us safely to shore. Angie (Del Nero) Shoemake’s life story is an inspiring tale of storms, unwavering resolve and confirmation that everything does happen for a reason – a reason for good. Shoemake was raised by her mother in a modest home in Baltimore, Maryland. She was the youngest of four girls and shared a small bedroom with her closest in age sister, Jenny. Despite her mother earning less than $20,000 a year to keep a roof over their heads, Shoemake can remember annual family trips to see the Ice Capades, where she and her sisters were each allowed to have their own cotton candy. As soon as she turned 14-years-old, Shoemake started working after school at the neighborhood snowball (snow cone) stand and volunteering at St. Agnes Hospital as a Candy Striper. On the weekends, while most of her friends were sleeping in, she would put on her pink and white uniform and walk a mile to the city bus stop to go to work. A year later, the hospital hired her as a service aid and eventually promoted her to unit secretary in the neonatal intensive care unit as a 16-year-old. After college, she joined AmeriCorps and spent the next few years doing service projects like providing disaster flood relief assistance in Louisiana, renovating apartments for Habitat for Humanity in Chicago and working at a Boys and Girls Club. From there, she went on to work in an AIDS hospice house in California, while simultaneously completing her Masters in Social Work at Sacramento State. In 2000, after marrying and having her first child in California, Shoemake decided to move across the country to Wilkesboro, North Carolina to live closer to her mother who had relocated there. During that time, she had another son and worked in home health and hospice care for nine years before joining the Seby B. Jones Regional Cancer Center team as a social worker 2012. Her office, which is strategically located in the middle of the Cancer Center, serves as a refuge for discouraged hearts. Its large windows illuminate the room with hope and an Every Person Matters poster on her bulletin board serves as a reminder for patients that they have entered into a safe space. 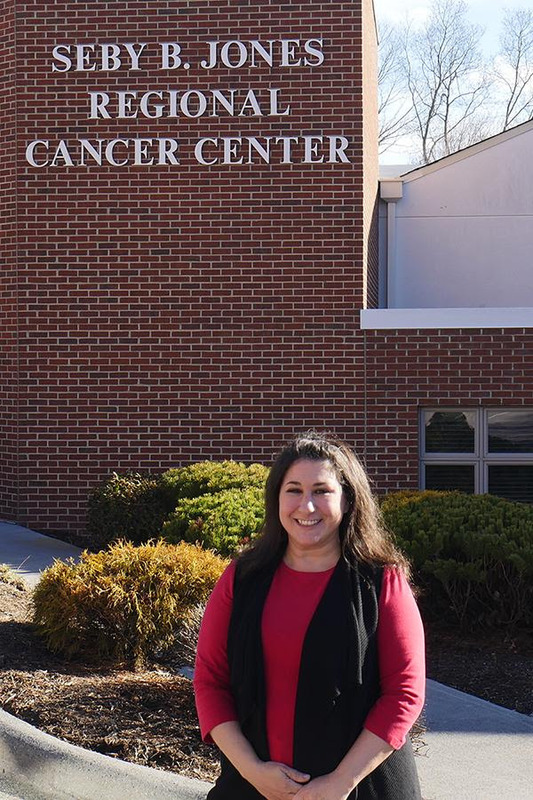 In addition to her responsibilities at the Cancer Center, Shoemake was recently appointed as the Chairperson for the Adult Services Coalition of Watauga County. In this role, she will work with area partners to better serve the senior adults in the High Country. To learn more about Seby B. Jones Regional Cancer Center or Appalachian Regional Healthcare System visit www.apprhs.org.